No credit card required. Try it for 30 days for free. Get started in seconds. Simply import your customer list from Xero and then begin adding jobs against those customers. 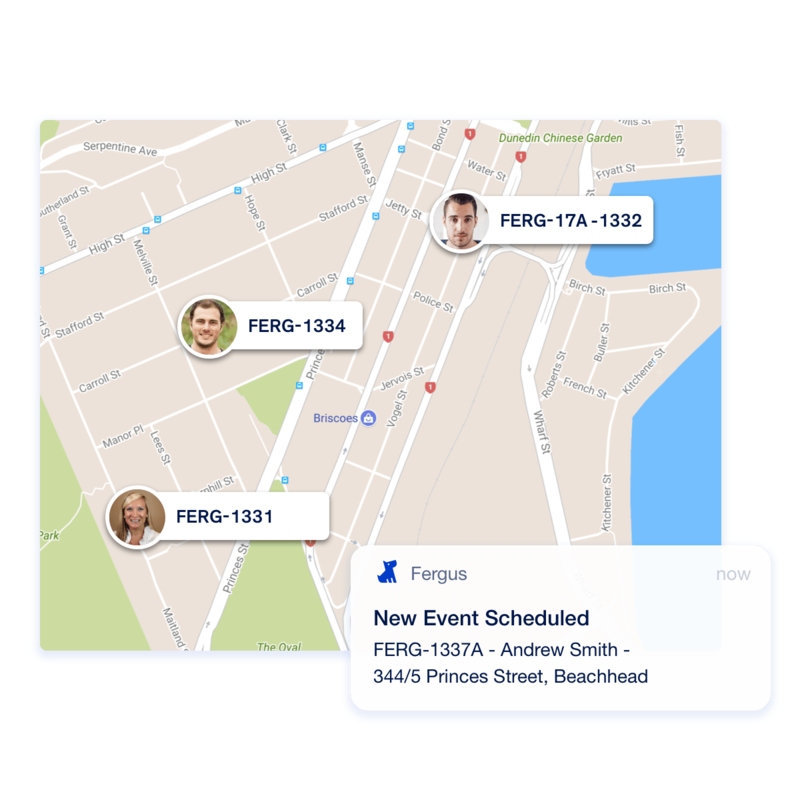 Fergus automatically syncs all your invoicing and contact records with Xero in realtime. Fergus also knows when payments have been reconciled in Xero. 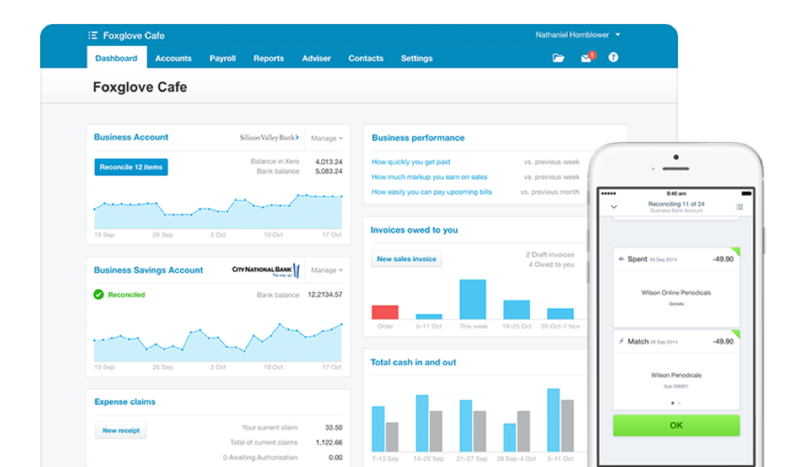 Beautiful cloud-based accounting software connects people with the right numbers anytime, anywhere, on any device. Log in anytime, anywhere on your Mac, PC, tablet or phone to get a real-time view of your cash flow. It’s small business accounting software that’s simple, smart and occasionally magical. Use our mobile app to reconcile, send invoices, or create expense claims - from anywhere. 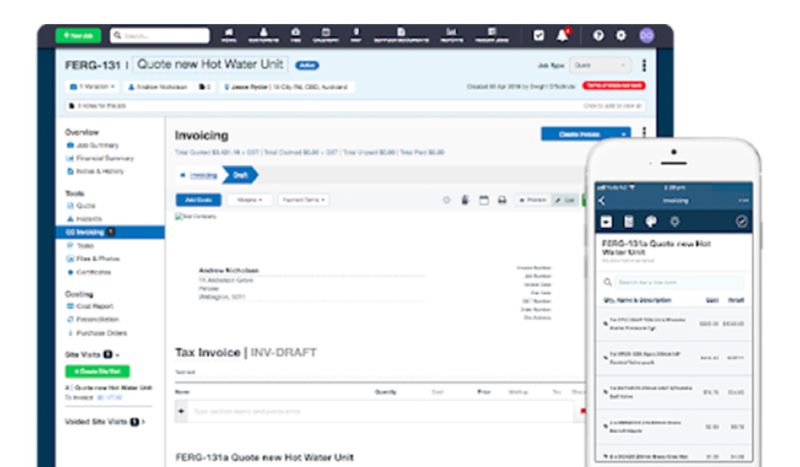 Send online invoices to your customers - and get updated when they’re opened. Fergus has everything you need to run your office, manage your team and scale your business. 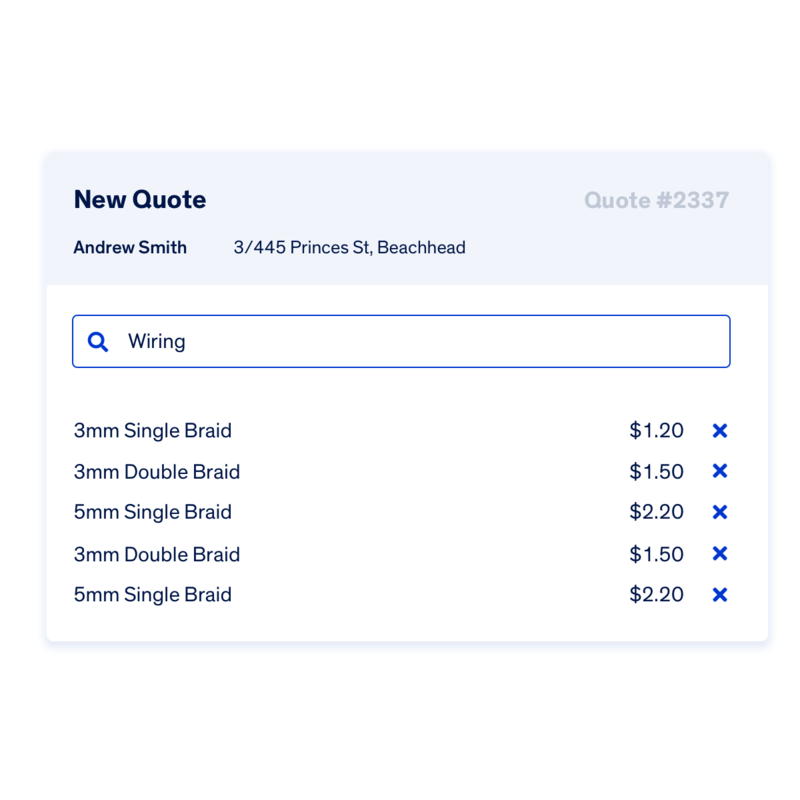 Quickly build invoices using our powerful pricing editor. 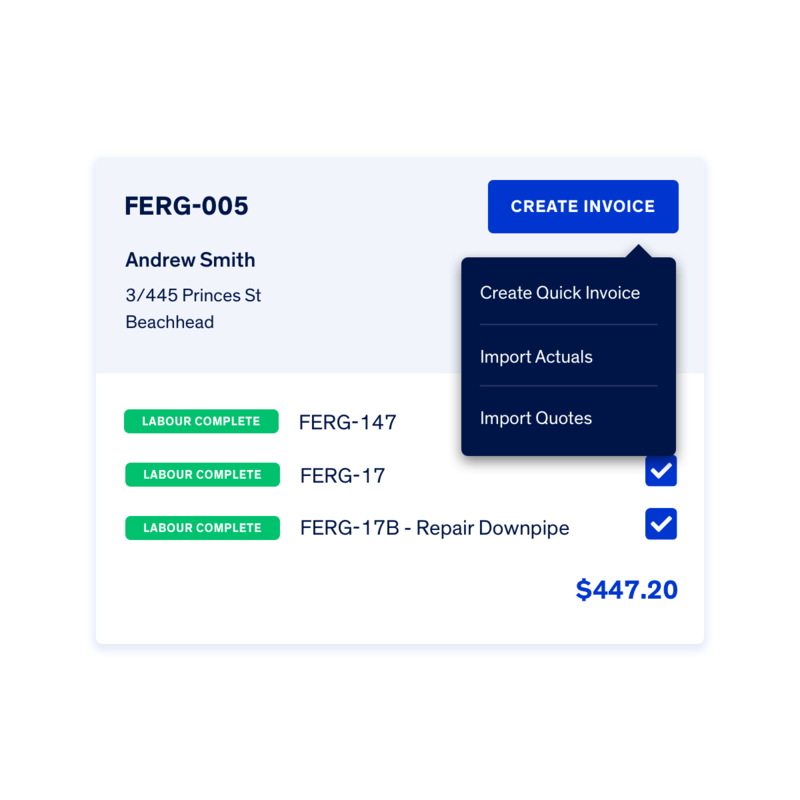 Turn a job card into an invoice, import actuals from a site visit or build them from scratch. Group materials used for specific jobs and track multiple versions of quotes. Take control of your margins by creating tiers for different types of jobs or clients. Create job cards with ease. Add a new customer or choose a previous customer to get going in an instant. Assign the job to a team member and they’ll be notified instantly. See how long team members have spent on a job and whether they’re on time to make it to the next one. 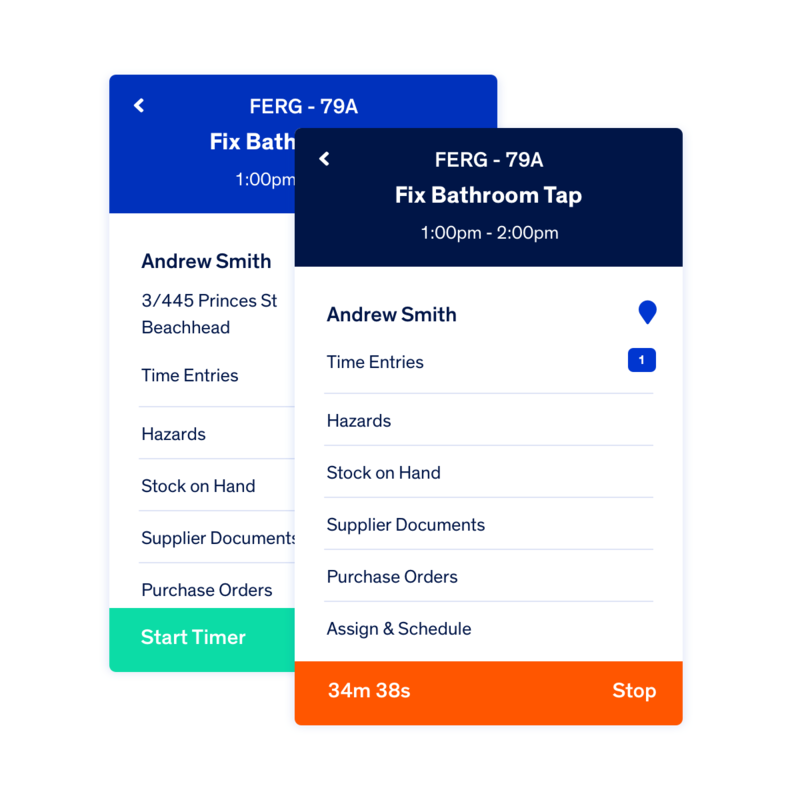 Book jobs in an instant no matter if you’re still on the phone to a customer or out on the job with simple drag and drop scheduling on a visual calendar. 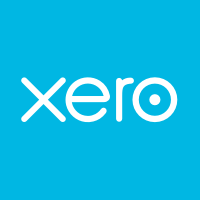 All you need to do is authorise Fergus to access your Xero account and we’ll take care of the rest. You can sync your accounts when you first set up a Fergus account or later down the line. It has proved to be exactly what I was looking for. I spend less time on the laptop and more time with the family. Our workers absolutely love Fergus and find it really easy to use. Fergus has helped us keep on track and we can even invoice out the same day if we need to. I can easily see my financial position at a glance, see my profit on a job when pricing, set pricing structures for clients and scheduling is easy.